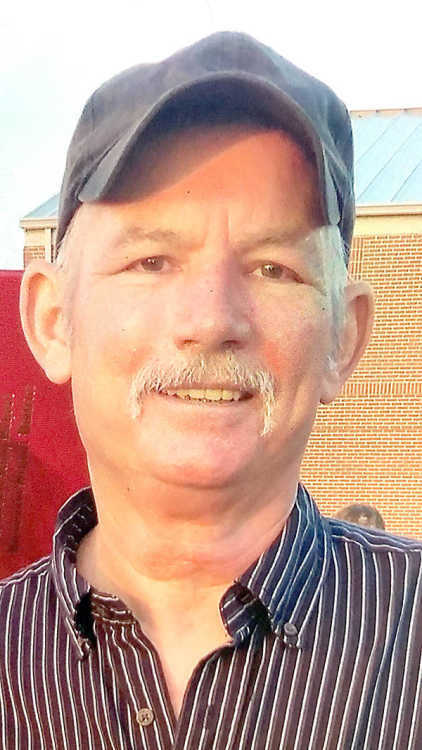 Kenny May, 61, of Osceola, passed away March 29, 2019, in St. Louis, Mo. He was born Aug. 8, 1957 in Manila to Calvin and Betty May. He worked at American Greetings and was a member of Little River Baptist Church in Lost Cane. He is survived by his stepsons, Jerry (Michelle) Brawley of Trumann and Chris (Brandi) Brawley of Southaven, Miss. ; stepdaughters, Tracey (Gerald) Hallett of Manila and Jenny (Charles) Watkins of Luxora; grandchildren, Deonna Towery, Dylan Brawley, C.J. Watkins, Hunter Hallett, Cameron Watkins, Jacob Hallett, Ashlyn Brawley, Ryan Hallett, Kennedi Brawley, Allie Brawley, Corbin Watkins and Samantha Brawley; great-grandchildren, Jaxson Brawley, Adellyn Pierce, Winston Price and Caden Watkins; father, Calvin (Geraldine) May of Manila; sisters, Linda May Clifton of Osceola and Karen Holland of Osceola; nephews, Scott Kemp and Kevin Simpson; niece, Ashley Kemp; great-nephew, Weston England; and great-niece Kimber Kemp. He was preceded in death by his wife, Linda May; mother, Betty May; and nephew, Arthie Kemp. Visitation will be from 1-3 p.m. Thursday, April 4, at Roller-Swift Funeral Home. Funeral service will follow at 3 p.m. Burial will be at Mississippi County Memorial Gardens.